Note: Nicholas Wrathall, the filmmaker of Gore Vidal; The United States of Amnesia can attend your event, host a discussion, or give a keynote address. To inquire about inviting him to your screening either in person or via Skype, please contact nicwrathall [at] gmail [dot] com. No twentieth-century figure has had a more profound effect on the worlds of literature, film, politics, historical debate, and the culture wars than Gore Vidal. Anchored by intimate one-on-one interviews with the man himself, Nicholas Wrathall's new documentary is a fascinating and wholly entertaining portrait of the last lion of the age of American liberalism. Commentary by those who knew him best--including filmmaker/nephew Burr Steers and the late Christopher Hitchens--blends with footage from Vidal's legendary on-air career to remind us why he will forever stand as one of the most brilliant and fearless critics of our time. Gore Vidal's professional life spans more than 50 years of American politics and letters. His return to America in 2005 marked the last great stage in his creative career and this film represents an extraordinary opportunity to share his view on America in the twenty-first century. Featuring candid vérité footage of Vidal in his final years, the film explores his enduring global impact on art, politics, and everything in between. His overview of the current state of the Republic and the health of US democracy is unique and incisive. This is Gore Vidal's last word and testimony. "Nicholas Wrathall has assembled an engaging blend of history, politics, and Vidal's ceaselessly quotable aphorisms - some tart, some profound, some undeniable. He also touches upon the personal in a most poignant way. This film will educate neophytes and delight enthusiasts. Its plethora of photographs and archival footage alone makes it a valuable document." 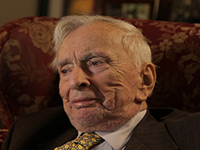 "Gore Vidal lives on in his full glory in this documentary portrait. It surveys his life with glee and panache, hitting all the high and low points but without the dry sense of duty that characterizes most such films. The United States of Amnesia celebrates the incandescent wit that flourished for so many years, lighting up our national absurdities, contradictions, and occasional sources of pride while dauntlessly exposing the abysmal shame of the Bush/Cheney regime. Gore Vidal could not have hoped for a more deeply sympathetic portrait, though no doubt he is somewhere crafting a sharp retort against any filmmaker who would treat him with such unabashed fondness." "A remarkable insight into the sometimes contradictory, but always witty, analyses of someone who strode the worlds of late twentieth century politics and literature like a colossus. We may not agree with Vidal's pessimism, but his words are an augury of what is happening to a country he loved and chronicled for sixty years." "Vidal lived a big life, and this film relates his story with wit and verve." "Entertaining...a thorough, skillfully assembled chronology." "In this comprehensive, entertaining, and often moving documentary, Nicholas Wrathall does full justice to his remarkable subject. Gore Vidal: The United States of Amnesia shows us just why and how this prolific writer, politician and actor came to be such a significant and controversial figure in American culture. This film will quickly become essential viewing for scholars and general readers, not only of Gore Vidal, but also of the nation which he both loved and deplored." "Wholly satisfying...a lovingly packaged greatest hits from a legendary rebel of letters." "Gore Vidal, this excellent documentary reminds us, was an extraordinary public intellectual whose moral and political conscience played a vital role in American public life for over sixty years. A witty and provocative iconoclast, he didn't suffer fools gladly, knew everyone (and I mean everyone) and was right about nearly everything. A must-see for anyone who cares about late-20th century American history and appreciates the value of intellectual courage." "An entertaining tribute to a distinctive and complex talented. Highly recommended." "Highly entertaining...a fine memorial to one of 20th-century America's most brilliant, original-and cranky-thinkers." "As America continues to negotiate dramatic changes in its status and power in the 21st century, Nicholas Wrathall's documentary arrives to reaffirm the political value of the public critical voice and the importance of fostering a strong sense of history in general. Wrathall composes an eloquent filmic epitaph to Vidal's achievements as writer, trenchant critic and dissenting political activist; the film is impressive in the balance and nuance it achieves, presenting a subtler version of Vidal beyond the practiced personality he contrived and performed for the popular media and public display, and presents a sophisticated portrait of an intellectually sophisticated and challenging thinker and writer - a portrait that also serves as an excellent introduction to Vidal's work for those unfamiliar with his name. The United States of Amnesia also reasserts the need for the particular perspective Vidal embodied - a deep commitment and fearless determination to defend the ideals and values informing the ideaof America, and thus the potential and promise of human beings at large." "This superb documentary captures Gore Vidal in all his ever-articulate glory." "Years before Edward Snowden's 2013 disclosure of the extent of NSA surveillance, Gore Vidal warned of the erosion of civil liberties that would follow 9/11. Gore Vidal: The United States of Amnesia won't let us forget the most trenchant critic of the American Empire of our time. An intimate account that gracefully assembles classic footage with interviews from his last years, Nicholas Wrathall's wonderful film reminds us of our loss, for Vidal's insights have never been more relevant than they are today, and we won't see the likes of him again." "An unabashed love letter to its subject that captures how and why Vidal became one of the dominant public intellectuals of the 20th century." "Gore Vidal: The United States of Amnesia captures Vidal's saber-sharp wit and irrepressible love of life, in the context of his refreshingly iconoclastic take on the most sacred of American cows - the 'goodness' of World War II, the superiority of all things American, the uniqueness of American virtue." "Nicholas Wrathall's treasure-trove documentary does a terrific job of summing up the late political writer's life and work." "Meet Gore Vidal's celebrity friends and foes: Amelia Earhart, Eleanor Roosevelt, John F. Kennedy, Tennessee Williams, William F. Buckley, Norman Mailer, Paul Newman, Joanne Woodward, and Christopher Hitchens. Learn about American history in 90 minutes: the Founding Fathers, the Civil War, Pearl Harbor, Iwo Jima, Hollywood, Ronald Reagan, Mikhail Gorbachev, 9/11, the Patriot Act, election night 2008. Fight the United States of Amnesia." DVD includes the film's trailer, SDH captions for the deaf and hard-of-hearing, and scene selection. "Recommended...Potentially useful to multiple disciplines as an educational tool, especially courses in the humanities...Is also recommended for general library collections."